While a great number of people are preparing to evacuate the east coast of the United States in the face of Hurricane Irene, Andrew Kennedy, a researcher in the University of Notre Dame’s Department of Civil Engineering and Geological Sciences, rushed to the outer banks of North Carolina yesterday (Aug. 25) in anticipation of its arrival. data collection in conjunction with Irene. Kennedy’s research focuses on waves, surge and currents in the coastal ocean and their effects on human activities. Storm surge is the wall of water pushed onto land as a hurricane comes ashore. Although high winds are associated with hurricanes, storm surge is actually a greater danger and a leading cause of destruction and death. 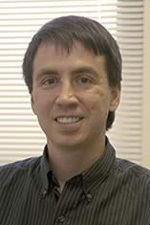 Kennedy’s colleague Joannes Westerink, the Notre Dame Chair in Computational Hydraulics, is one of the developers of the Advanced Circulation Model, or ADCIRC, an authoritative computer model for storm surge prediction. The U.S. Army Corps of Engineers, the Federal Emergency Management Agency and the state of Louisiana use the model to determine water levels due to hurricane surge as well as to design appropriate levee heights and alignments.